Made from marine polyester 3 strand to withstand all weather conditions. This rope is soft and silky against the horse and features a silky tassel. 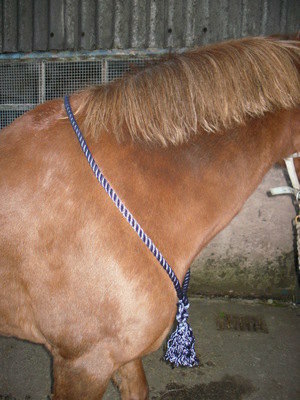 The cordeo is used in bridless riding and also helps in groundwork training.